In his Information Technology (IT) practice, David has acted as the lead negotiator on a significant number of multi-million dollar IT outsourcing and strategic sourcing projects, including for large multi-national corporations and government bodies. He has brokered complex IT transactions, serving as the main client point of contact and overseeing the responsibilities of client in-house legal counsel, contract specialists and business stakeholders. In this role, he has directly negotiated complicated and contentious IT matters and has positioned himself as one of Canada’s leading experts in computer & IT law. In 2014, David authored the Cloud Computing chapter for LexisNexis’ legal textbook, Social Media and Internet Law. David is recognized as a go-to lawyer on IP/IT matters requiring sophisticated and strategic attention. His practice management skills are beyond reproach. He is client focused and always ensures that client deadlines are met. David’s contract drafting skills are first rate. His research skills are equally strong and he is adept at finding support for his arguments, even in apparently weak cases. David’s enthusiasm and willingness to jump into complex matters consistently impresses his clients and colleagues and he is repeatedly recommended as a go-to source for managing sophisticated client IT projects, complex patent and trade-mark prosecutions and contentious client matters involving a serious threat of litigation. David’s Intellectual Property (IP) practice includes the provision of legal services in respect of patents, trademarks, copyright, and industrial designs, including the preparation, filing, prosecution, registration and maintenance of such applications before the Canadian Intellectual Property Office (CIPO), the United States Patent and Trademark Office (USPTO) and internationally, the preparation of patentability and trademark registrability opinions, intellectual property due diligence in corporate transactions, Trademarks Opposition Board and cancellation proceedings, domain name disputes under the Canadian Internet Registration Authority (CIRA) and Uniform Domain-Name Dispute-Resolution Policy (UDRP), and the enforcement of intellectual property rights generally. David also provides advice on legal matters relating to Canada’s Anti-Spam Legislation (CASL). In 2017, David was recognized as one of Canada’s leading trademark professionals in the 2017 edition of The World Trademark Review (WTR) Annual Guide, WTR 1000. In its review, David is praised as a “delight to work with – his enthusiasm for trademarks is incomparable”. His varied client list “has benefited from shrewd portfolio management and assurance in opposition”. In the 2018 edition of WTR 1000, David is hailed as “an extremely thorough, diligent and knowledgeable attorney” – “A key difference between him and many other IP practitioners is the personal attention he gives to clients. He always makes himself available when needed and provides fantastic service, taking the time to thoroughly explain all imperative details with clarity and patience and proactively bringing up potential issues before they become a problem. The level of dedication he shows is rare – he really goes above and beyond at every turn. What’s more, he’s always transparent about his actions and the costs incurred”. David is pleased to be ranked once again as one of Canada’s leading trademark professionals in the 2019 edition of WTR 1000. David is the only WTR 1000 ranked trademark practitioner in Southwestern Ontario. David is a voracious reader with a keen legal mind. He is well versed in all facets of the IP/IT practice area and is known for his ability to synthesize complex legal issues efficiently and provide thoughtful and practical legal advice. He serves as a trusted advisor to many of his clients and prides himself on readily identifying and understanding client goals and providing strategic advice to reflect those goals. David is a Registered Canadian Patent Agent and U.S. Patent Agent, having passed the Patent Agent Examinations on his first attempt. In a given year, less than 5% of test-takers achieve passing grades on all four Patent Agent Examinations, placing David in elite company. David is also a Registered Canadian Trademark Agent and U.S. Trademark Agent. David provides legal services to a broad range of clients across Ontario and Canada, including multinational corporations, universities, startup businesses and entrepreneurs, research hospitals, small business owners, charities, and international IP counsel, among others. In 2008, David was seconded to assist the in-house legal department of a multinational wireless communications company headquartered in Waterloo with its IP/IT matters. In 2012, David was the firm’s nominee for the prestigious Precedent Setter award. David is a key member of Miller Thomson’s National MTech® Startup Team and a local MTech leader. 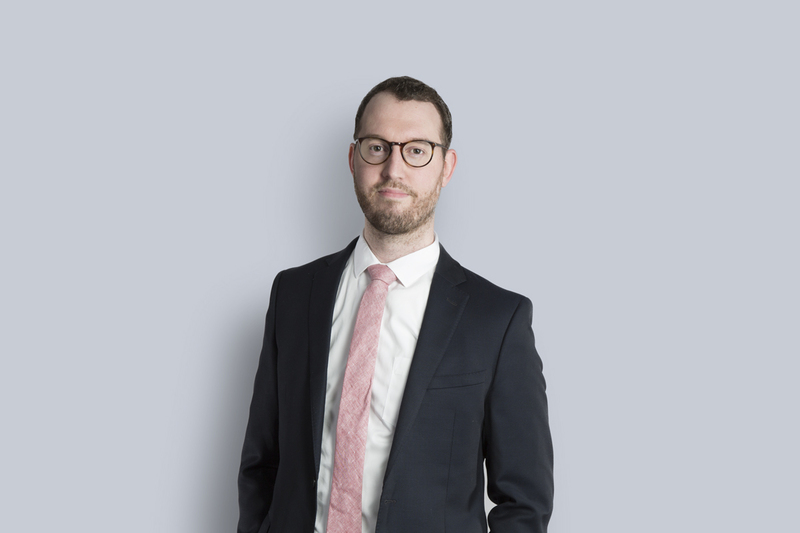 In this role, David leads teams of lawyers in providing high-quality legal advice and mentoring to startups and early-stage businesses using an attractive and predictable billing model. David has presented on various IP/IT topics to in-house counsel, foreign agents and attorneys, universities, startups, professional associations and other Ontario lawyers, including at seminars organized by the Ontario Bar Association (OBA) and the Law Society of Ontario. David has also been interviewed on IP/IT matters by Postmedia and CBC News, including for nationally distributed news articles, radio and television programs. Since 2009, David has served as an Adjunct Professor in the Faculty of Law at Western University, where he teaches the Advanced Intellectual Property course and is a four (4) time recipient of the Faculty’s Teaching Award of Excellence. David completed his law degree at Western University, where he was the recipient of the Dean of Law Entrance Scholarship and obtained highest standing in Advanced Patent Law. In his undergraduate career, David was the recipient of two Natural Sciences and Engineering Research Council of Canada (NSERC) Undergraduate Student Research Awards. David is a Fellow of the Intellectual Property Institute of Canada (IPIC). Lead external counsel to a multinational wireless communications company and Canada’s largest technology company, on hundreds of technology contract matters, including multi-million dollar IT outsourcing transactions and oversight of client in-house legal counsel, contract specialists and business stakeholders. Lead external counsel to a large government organization in a multi-million dollar upgrade of its CRM platform, including contract negotiation vis-à-vis one of the world’s largest information technology consulting firms. Lead external counsel to a large IoT analytics software startup on a variety of IT matters, including preparation of a variety of contract templates and negotiation of key transactions. Lead external counsel to one of Canada’s leading wearable technology companies, including providing assistance on key IT matters during development and pre-launch phase. Lead external counsel to one of North America’s leading companies for customer experience and process automation software for auto manufacturers and dealerships. Lead external counsel to Ontario’s leading education sector human resources, payroll, and finance solutions providers. Lead external counsel to some of Canada’s largest municipalities on a number of complex multi-million dollar IT outsourcing transactions. Lead external counsel to some of Ontario’s largest utility companies on a number of IT services, cloud services and other technology transactions. Lead legal negotiator on hundreds of IT-related transactions, including negotiation vis-a-vis some of the world’s largest IT service/SaaS providers, IT consultants, and hardware and software vendors including SAP, Oracle, IBM, Microsoft, Accenture, AT&T, NCR, HP, Capgemini, TCS and Salesforce. Participates in an intellectual property law career panel organized by the Western Intellectual Property Association, at the Western University Faculty of Law, February 6, 2018. Presented seminar entitled “So You Want to Build a Startup? Intellectual Property Considerations for Entrepreneurs” at the University of Waterloo, November 2017. Presented a seminar on the new CASL legislation and the effect it will have on the business landscape in Niagara on the Lake, June, 2017. Presented a seminar on the new CASL legislation and the effect it will have on the business landscape in the Waterloo Office, May, 2017. Presented a Trademark and Advertising Law Bootcamp to members of the Guelph Chamber of Commerce at Cutten Fields, April, 2017. Presented a seminar entitled “So You Want To Build A Startup? Intellectual Property Considerations For Entrepreneurs” at the Lazaridis School of Business and Economics at Wilfrid Laurier University, February, 2017. Presented a seminar on new developments in trademark and advertising law at the Greater Kitchener Waterloo Chamber of Commerce, January, 2017.